Edition 2 - Our one day training course has recently been refreshed and updated bringing new activities and topics to the fore. Intergenerational work is a proven approach which addresses a range of challenges that we face here in Scotland and the UK. The approach is gaining a higher profile within the voluntary, public and private sectors and supports the delivery of Scottish Governments policies and strategies. To support projects in developing good practice GWT plans to deliver 10 – 12 one day Introductory Courses across Scotland over the next year. Describe what intergenerational practice is and how it can be defined. Explain how planned intergenerational work can be relevant to meeting policy aims in different areas of social policy, community development and work with children, families and older people. 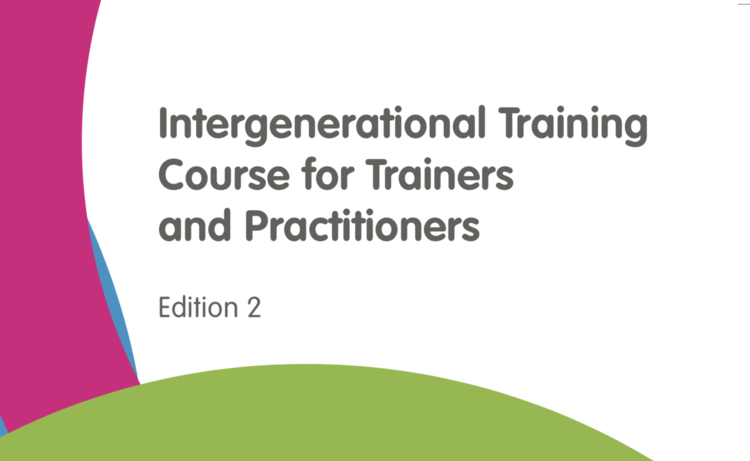 Explain the relationship between intergenerational practice activities, policy and outcomes. Give examples of how to bring generations together to effectively meet challenges and overcome barriers. Describe the importance of bringing different generations together during a staged process. Demonstrate how to address ageism and stereotyping through a range of activities. Describe and demonstrate how intergenerational activities and projects can be accessible and inclusive. Demonstrate the importance of monitoring and evaluating intergenerational activities and projects in a planned way. Evaluate the potential impact which intergenerational practice may have on participants and within communities. Demonstrate a range of approaches to monitoring and evaluation. Describe the issues around participation and involvement in monitoring and evaluation processes. Choose a range of methods for presenting information and the evidence collected during monitoring and evaluation. GWT is pleased to confirm that the following training courses have been CPD accredited by the CPD Standards Office which aids you in your career progression and advancement. CPD helps employees keep their knowledge and skills up-to-date. It also ensures that the professional standard of their qualifications and registrations is maintained. Furthermore, it contributes to their professional sense of direction. Completing CPD helps build their confidence and credibility, allows them to showcase their achievements and equips them with tools to cope positively with change.raining courses will be of interest to those who are keen to embed intergenerational approaches within their programme of work. Participants can request a certificate awarding them with 4 hours of accreditation. GWT is keen to deliver these course across the country including the Highlands and Islands. If you have a need in your area for training and can host a training course please get in touch with Alison Clyde.